Sell Your House Fast In Peoria! 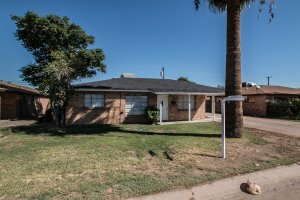 We Buy Houses In Peoria and Throughout Arizona! Do You Need To Sell Your House Fast For Cash? We Can Help. We Buy Properties Anywhere In The Peoria Area. Check Out How Our Process Works. We’re Ready To Give You A Fair Offer For Your House. Need to sell your house fast? We are the local “We Buy Houses In Peoria Arizona” company. If you want to sell your Peoria home for any reason, we will make you a fair no-obligation all-cash offer. We even pay all closings costs. We purchase homes in Peoria and the surrounding areas. Do You Want To Sell Your House In Peoria? If you have ever typed online, “Buy my house in Peoria”, chances are you come across our company. We are Arizona’s premier real estate investors. We buy houses in Peoria and the Greater Phoenix Area. We are not asking you to list your house and hope to sell it to someone. We are here to buy your house in Peoria. We will pay cash and close within 3 days or on a time convenient to you. We help homeowners sell their homes no matter the situation. Whether you are going through a foreclosure, are upside down on the mortgage, behind on payments or for any other situation, we are here to help. We have helped hundreds of homeowners since 2006 get out of unwanted situations. We are proud of the work we have done in and around the Peoria and will continue to do so for the foreseeable future. We make selling your home to us as easy as possible. We will provide you an unconditional cash offer for your house in Peoria, use a reputable 3rd party title company and will close on the deal no matter the circumstances. When we say we will buy your house, we will do it. Have you ever wondered if you can sell to us and still continue to live in your own house? Call us to find out how we can make that possible. We are professional real estate investors in Peoria and care about our wonderful community. If you have ever wondered, “Who will buy my house in Peoria”, now you know.